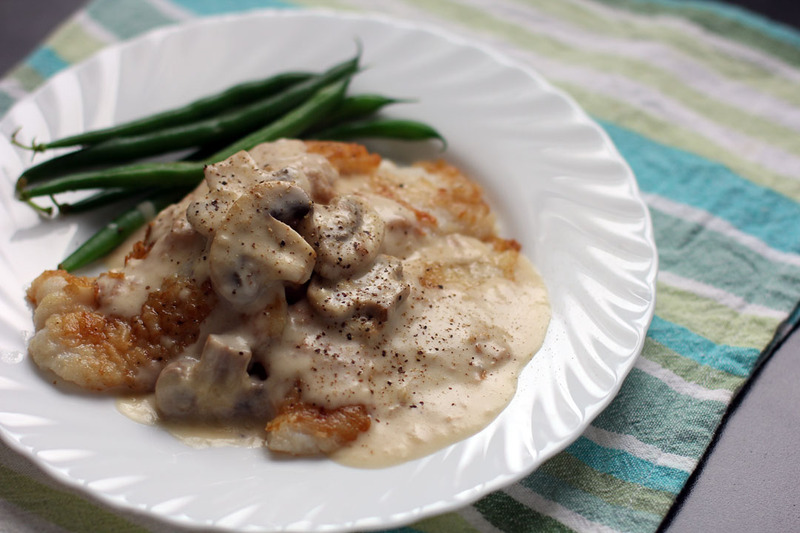 This Fish in Mushroom Cream Sauce was one of the dishes I always wanted to make but already forgot as I have a long list of dishes I wanted to do, luckily I recently had this in one of baptism reception I was invited to reminding me to make some at home. 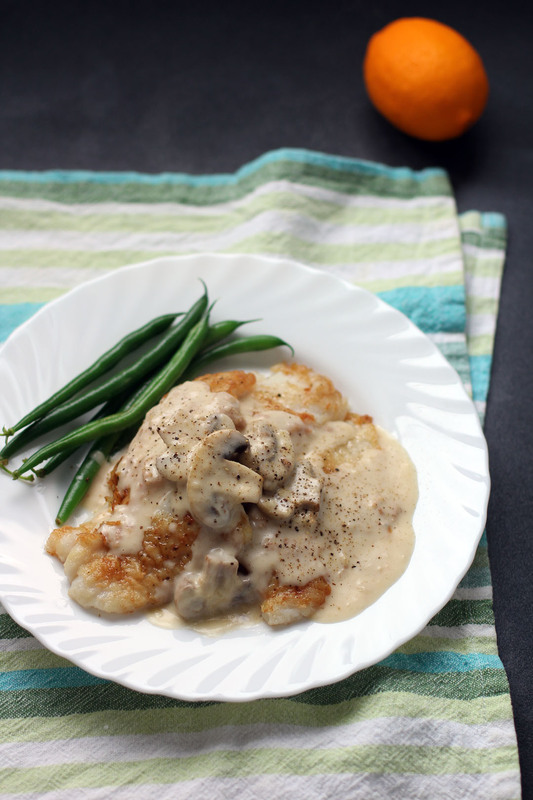 Fish in Mushroom Cream Sauce is a simple dish of a lightly breaded pan fried fish served on a creamy sauce with mushrooms, the delicate texture and flavours are lightly enhanced by hints of lemon. Filipinos usually enjoy this with rice but I can see this will be also good with grilled cauliflowers, baked potatoes or even crusty breads. Combine flour, cornstarch, salt and freshly ground black pepper together then place in a large bowl. Season dory fillets with salt, freshly ground black pepper and lemon juice then set it aside for 15 minutes. Lightly dredge fish fillets in flour mixture then pan fry them until golden brown on both sides. Set it aside. In a separate pan add small amount of oil then cook mushrooms for a minute. Once cooked remove from pan then set it aside. Add butter then sauté garlic and shallots. Add flour and cook until it forms a roux. Gently pour milk while mixing until it forms into a smooth thick sauce. Add the nutmeg and mushrooms, simmer for a minute. Add the fish then continue to simmer for one more minute. Season with salt and freshly ground black pepper if needed. Oh, drat, I needed this recipe last night, Raymund:) Looks fab – I love the combo of fish and mushrooms and often cook or eat them together. I haven’t made something like this for a long long time, and your dish totally reminded me. Maybe if I can crab nice fish today I’ll try this! If not, another time. I’m very looking forward to tasting this – and your recipe looks so good! Thanks Raymund! Not fond of the imported frozen dory here but can always substitute with our fresh ones. Looks really nice, your cream sauce. Looks absolutely wonderful. I bet it’d work with chicken, but I like the idea of fish more. Well that sounds super delicious, I have heard of butter sauces with fish, but not so much with a cream sauce. Gonna have a crack at it. Do ya think it would work if the fish was almost poached in the creamy goodness? I can see that fish looks good with mushroom sauce also. I usually see mushroom sauce with red meat but this just looks so astonishing. Very lovely!